Quitting doesn’t come easily for me. In the past year or so I quit my job, quit some bad habits, quit being so grumpy, quit saying “no” to fun invitations from dear friends and quit being away from my family. Truthfully, the most significant seemed to be quitting my job, but the rest were welcome results. I was deeply passionate about my job, the company I worked for and the people that I worked alongside. As a key contributor within the organization, I believe I gave my best and had a positive impact there. It was the eight most significant years of my career in terms of personal and professional growth. But, it was time to move on and pursue a lifelong desire to create and grow my own company. • How will I know when it’s finally time? • How do I quit with dignity and respect? • How do I plan it? • How exactly will that conversation go? Note – If you’ve had five jobs or more in the past five years, chances are that you struggle to take jobs well or quit jobs well. This should not be a vicious cycle. The good news – there’s always time to make improvements. I gained clarity in deciding to resign from my job when I realized I could no longer affect change and I started to realize that I was likely going to become a problem rather than a problem solver. My ability to be a constructive participant and thought leader had diminished. This was deeply personal for me and a tough realization. Often there are ways to rise above situations like this and overcome whatever circumstances exist to continue to be productive. I was simply wore out. Believe me, there were times that emotionally I wanted to check out, but I refused to leave on a bad note. You should avoid quitting in the middle of a major project (if you’re a key contributor) or at the end of an important sales milestone (month, quarter or year). This was wise counsel I was given and I’m glad I took it. If you’re a valuable part of an organization, there’s never a good time to quit. Be thoughtful about the best time relative to your position. I had a lot of great, personal friends, really almost family, at this company. My boss at the time had only been there a short time, but I owed it to him and myself to follow the chain of command rather than calling all of my buddies first or going directly to the CEO and COO, who I knew very well. At least one dear friend was really upset that I didn’t come to them sooner, but I slept well knowing that I did the right thing. It’s hard to anticipate and manage all of the collateral damage. All you can do is hope that people will understand and not take your departure personally. The conversation with your boss should be an honest one. It shouldn’t be highly emotional or a time to reflect on all of the factors that contributed to your decision. It is not the time to point out all of your supervisor’s or company’s faults. Just to be clear, I was quite satisfied with who I was working for just before I quit, which made the decision that much more difficult. 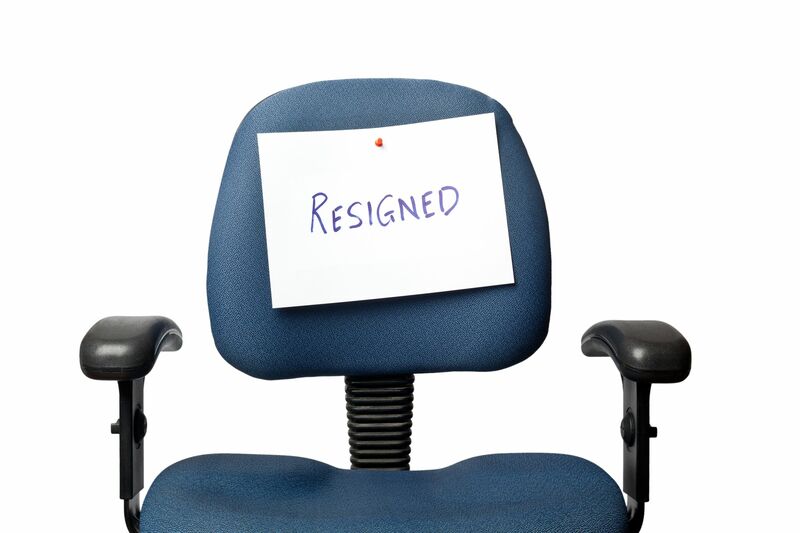 You should concisely state that you have decided to resign. Give your employer plenty of time to plan and implement a transition. I believe it is appropriate to say where you have accepted your next job, if you have signed an offer. The ultimate outcome of how well you quit will absolutely reflect your integrity and credibility. You do not want to be perceived as a guy that was working two jobs at the same time. Whenever possible, try to build a break in between your end date and new start date. This is important for a couple of reasons. First, a break to clear your head is hugely beneficial. Second, it lessens the likelihood that you spent the majority of your time hunting for a new job instead of working. I had planned for a four month sabbatical, of sorts, between the end of my most recent job and the start of my new company. Finally, you always have to anticipate a counter offer, if you’re a valued contributor. I don’t believe in counter offers. If you’ve gotten this far in the quitting process you should be 100% committed to your decision. People that accept counter offers are seldom all-in. There are probably only a couple of reasons when and why one would accept a counter offer. An employee worth having and an employer worth working for will be reasonable about any inequity in your current arrangement, financially or otherwise. Don’t threaten to quit in order to get something you want. These steps helped me wind down a successful eight-year employment. I am still in touch with the top leaders of the company and will continue to do business with them. It’s a process that took at least three months from the point I decided that my resignation was imminent to the day I handed in my PC. Have you gone through this recently? If you’d be so brave, what would you have done differently in hindsight? Please, drop me a quick note in the comments section.